We’ve been seeing lots of good commercial Pakistani cinema lately, with romantic comedies and family dramas like Punjab Nahi Jaungi and Cake dominating the screen. But not much has been done in the thriller and action genre of films, the upcoming Shamoon Abbasi starrer Urdu feature film ‘Gumm… In the Middle of Nowhere’ aims to change all of that. This Shamoon Abbasi starrer was shot in Islamabad, with most of the scenes taking place in the jungles of Margalla Hills. 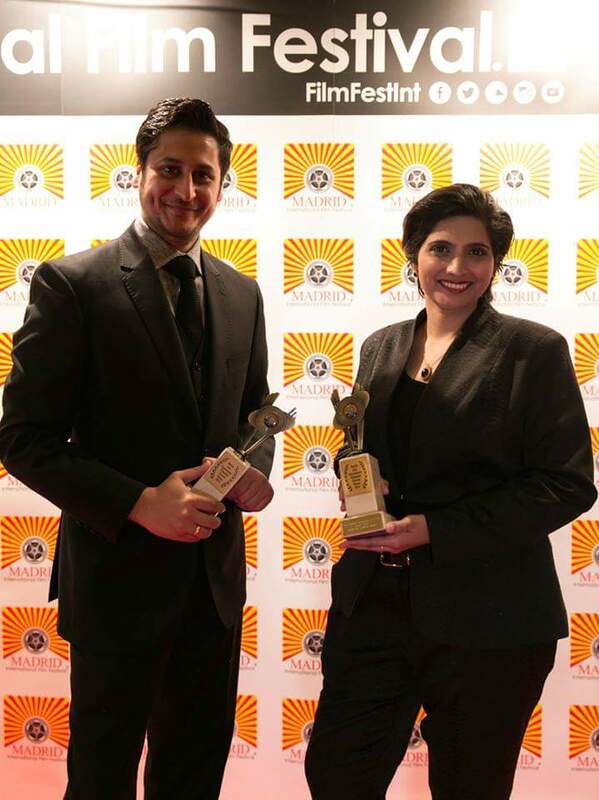 The movie also stars Sami Khan and Shameen Khan. The producers, Ammar Lasani and Kanza Zia, refused to divulge more about the plot. But they promise Gumm will keep the audience engaged for its entirety. Fresh New Talent Enters The industry! Lasani and Zia studied filmmaking at the New York Film Academy in Los Angeles where they began working on the script for Gumm. After graduation, the duo refused many offers from production houses in Hollywood to return to Pakistan and work in the Pakistani film industry. “We wanted to make a film that would place the Pakistani film industry on the world map,” Zia said as she spoke of her experience studying in the film academy in the US. Speaking of which, Gumm was nominated for the Best Picture and Best Director categories at the Festigious International Film Festival, an IMDb qualifying monthly film festival, also praised as the “Queen of Online Festivals”. The film also won big at the LA Film Festival. Additionally, Gumm has screened at the Indian Aab International Film Festival (AIFF) and UK’s CKF International Film Festival (CKIFF). “We wanted to make a film that would not only please the Pakistani audience but would also appeal to international film critics,” Zia said. Though Gumm has not released in Pakistan yet, it has been officially selected at various international film festivals including AAB International Film Festival (India), CKF International Film Festival (UK), Creation International Film Festival (Canada), London City International Film Festival (UK), Lake View International Film Festival (India), Eurasia International Film Festival (Moscow, Russia) and the most recent being the Madrid Asia International Film Festival (Spain). A release date of the film has not been announced, but Sami Khan, the lead of the film confirms it for sometime next year, and its first-look poster is out. And by the looks of it, we can’t wait to find out more about Gumm!